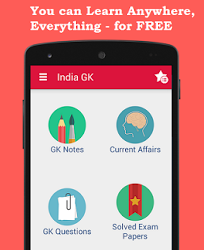 13, 14 November 2017 Current Affairs MCQs, Quiz, Questions: Current Affairs for November 2017, Daily Multiple Choice Questions (MCQs) for India GK, World GK and current affairs with Collection of daily objective type Question by www.Indiagk.net based on General Knowledge (GK) and General Science (GS) Questions for UPSC, State PSC, SSC, Police exam, Railway exam, SBI, Bank PO, IBPC, SSC, LDC, UDC, Army, Airforce, Navy, Coast Guard, Bank Clerk, TET and all entrance examination with current affairs News, Multiple Choice Questions (MCQs) available on Website www.IndiaGK.net and Android Apps with daily updates:. Which country hosted 31st Summit of Association of Southeast Asian Nations (ASEAN) 2017? Who is leading the Indian delegation in the ASEAN Business and Investment Summit 2017 (ABIS 2017)? 10th South Asia Economic Summit held in which city? Fire has destroyed the oldest archaeological site located in which country? The National Green Tribunal has put a cap of 50,000 visitors of which pilgrimage site? India International Trade Fair 2017 begins on 14th November in which city?